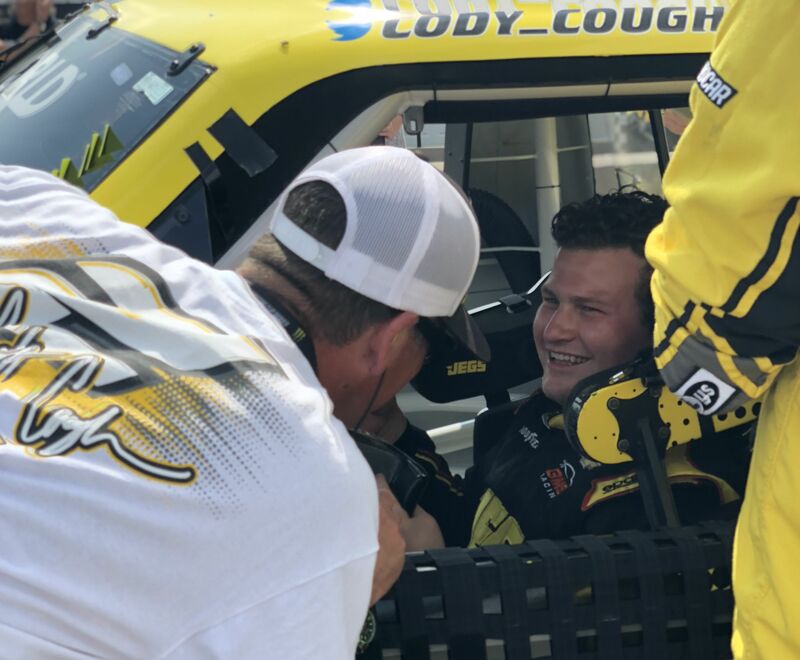 STATESVILLE, N.C. (July 24, 2018)—After slinging mud and sliding sideways at the half-mile dirt track of the Eldora Speedway, Cody Coughlin and GMS Racing now eagerly await another unique track, nicknamed the ‘Tricky Triangle,’ the Pocono Raceway. After a weekend’s hiatus, the NASCAR Camping World Truck Series (NCWTS) returns to action on Saturday, July 28 for the Gander Outdoors 150. The track is full of oddities, with a coat-hanger shaped track coupled with three turns, three different radii and three varying degrees of banking. But Coughlin believes he and his No. 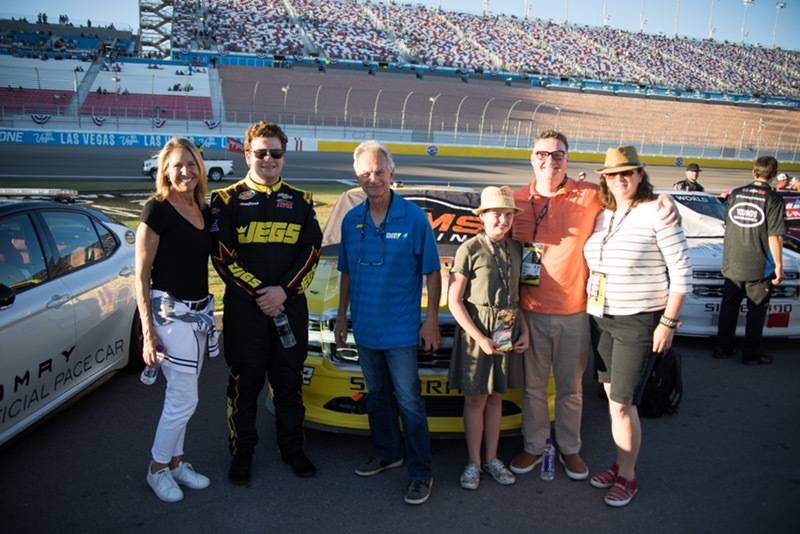 2 JEGS Chevrolet Silverado team are up to the challenge. Built on the site of a former spinach farm, the first turn of the raceway, is a tight 14-degree hairpin designed to resemble the corners of the, now-defunct, Trenton (N.J.) Speedway. Turn 2 is famously known as the ‘tunnel turn,’ and a 90-degree turn with eight-degree banking modeled like the turns at the Indianapolis (Ind.) Motor Speedway. The third turn is a long sweeping turn with just six degrees of banking like the Milwaukee (Wis.) Mile. The ‘Tricky Triangle’ is an exhilarating challenge with its unique shape, and Coughlin is up for the challenge. Crew chief Jerry Baxter will configure the No. 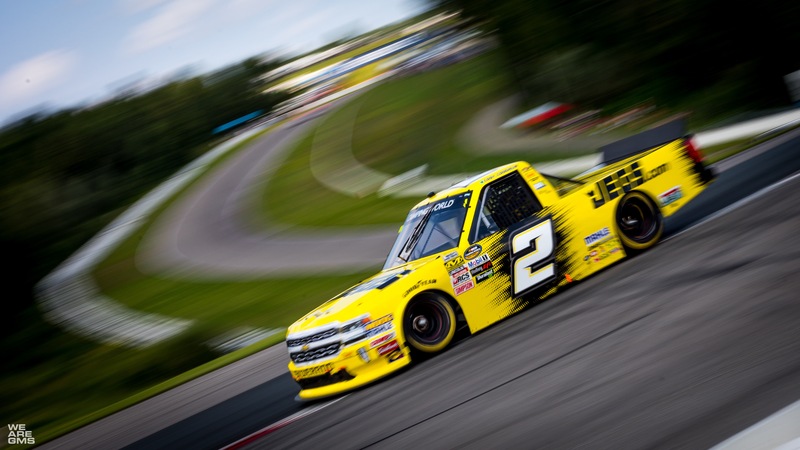 2 JEGS Chevrolet Silverado to give Coughlin the best opportunity to get in victory lane. The 22-year old will pilot Chassis No. 307 in the Gander Outdoors 150 at the Pocono Raceway. The Baxter-led team last unloaded this GMS Racing prepared chassis at the Chicagoland Speedway on June 29. 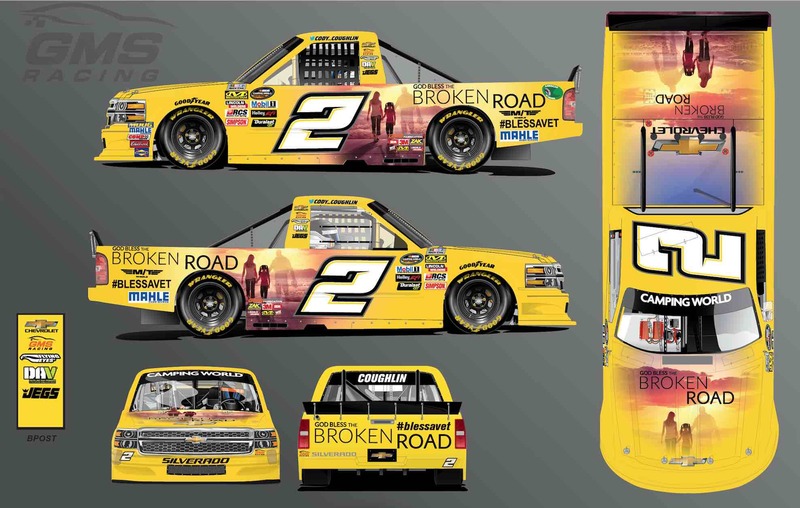 The chassis has three previous starts with Coughlin during the 2018 NASCAR Camping World Truck Series season – collecting two top-10 finishes. 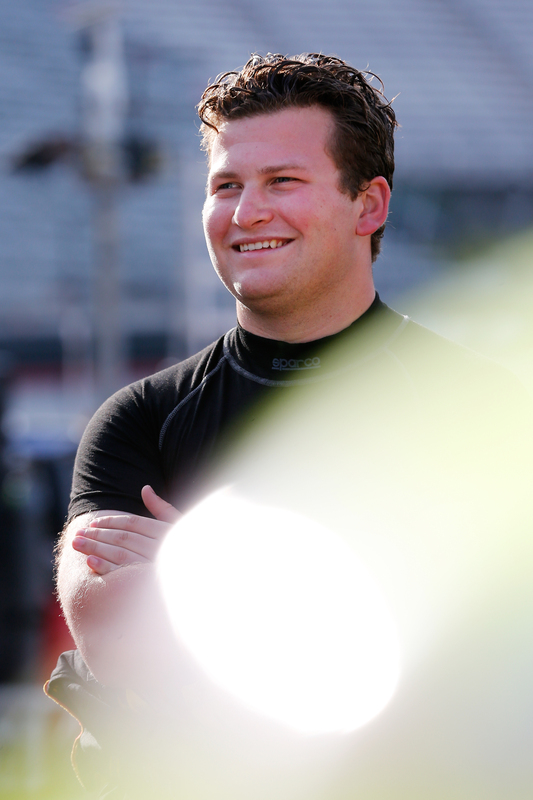 In addition, he posted a career-best qualifying effort of second-place at the Kansas Speedway on May 11 in Chassis No. 307. This weekend marks Coughlin’s third Pocono Raceway appearance with the NASCAR Camping World Truck Series. Last year, the Delaware, Ohio, driver finished in the eighth-place at the Pocono Raceway. 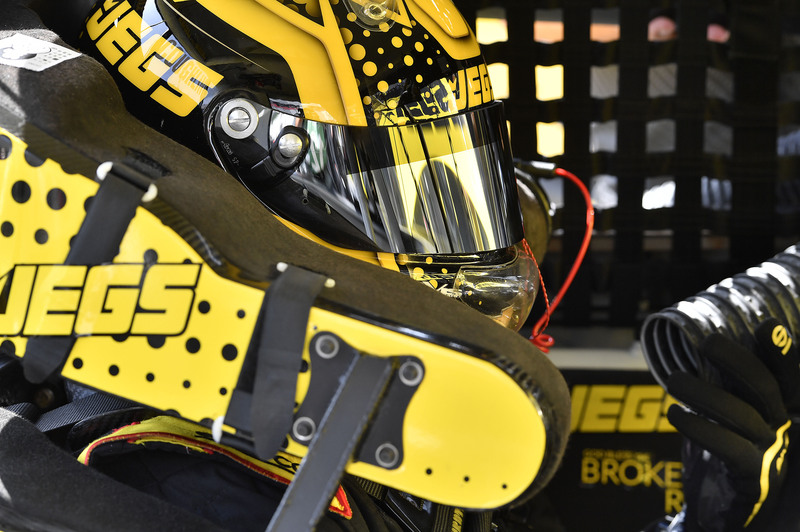 In two starts at the 2.5-mile triangular superspeedway, Coughlin has completed 120 of 120 laps contested (100.0%) since his track debut on July 30, 2016. 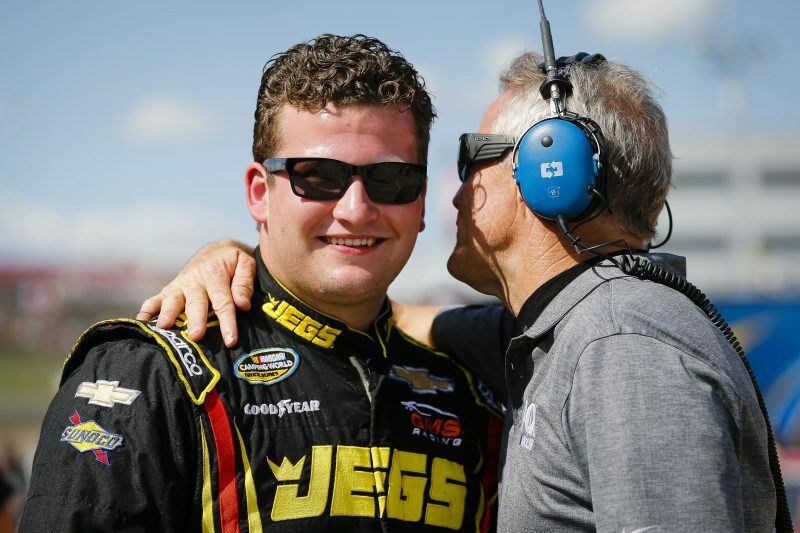 Coughlin has two top-ten finishes in three starts in the Automobile Racing Club of America (ARCA) Racing Series at the Pocono Raceway. He posted two ninth-place finishes, both in 2014, with Venturini Motorsports. 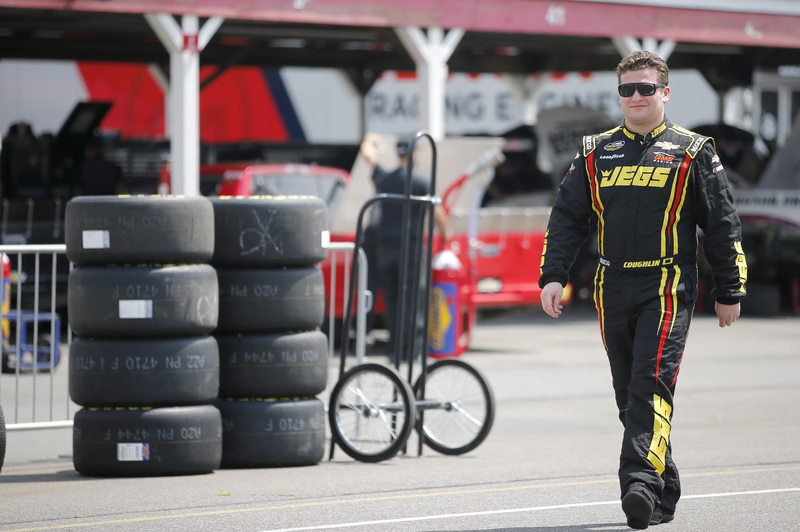 In 10 combined NASCAR Camping World Truck Series starts on speedways (tracks over 2-miles in length), Coughlin has recorded one top-10 finish, and led for a total of nine laps. Since entering the NASCAR Camping World Truck Series in 2013, the Statesville, N.C.,-based GMS Racing team has logged 10 starts at the Pocono Raceway, resulting in three top-five finishes and six top-10 finishes, with an average starting position of 10.5 and an average finishing position of 10.5 with 27 laps led at the Long Pond, Pa.,-facility. The Gander Outdoors 150 will be broadcast live on FS1 on Saturday, July 28 starting with NASCAR RaceDay: NASCAR Camping World Truck Series at 12:30 p.m. (ET). It will also broadcast live at 12:30 p.m. (ET) on the Motor Racing Network (MRN) and SiriusXM NASCAR Radio. Qualifying for the 14th event of the 2018 NASCAR Camping World Truck Series schedule will air on Saturday at 10:00 a.m. (ET) on FS1. The Gander Outdoors 150 at the Pocono Raceway will re-air on Saturday at 10:00 p.m. (ET) on FS2, and again on Sunday, July 29 at 11:00 a.m. (ET) on FS1.